In the late 1960’s, Joseph Phelps was running one of the largest construction companies in the U.S. when he won the bid to build Souverain Winery (now Rutherford Hill) located a few miles outside of St. Helena. Enamored with the beautiful Napa Valley and contemplating a career change, in 1973 Joe bought the 600-acre Connolly cattle ranch in Spring Valley, and began planting vineyards and construction of a winery. The first harvest in 1973 yielded Cabernet Sauvignon, Pinot Noir and Johannisburg Riesling bottlings, all custom crushed at nearby wineries. 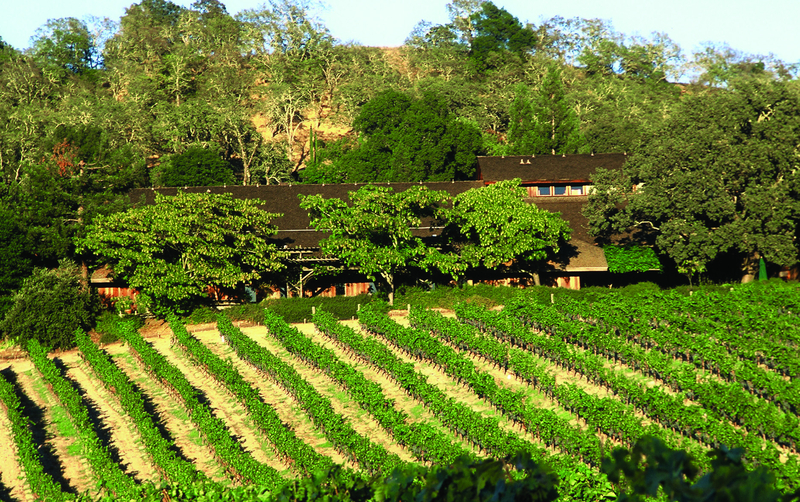 The Joseph Phelps winery was completed in 1974 in time for harvest, crushing grapes for the first Insignia and the first Syrah bottlings. It was a period of unparalleled activity, creativity, ingenuity, entrepreneurship and risk-taking. 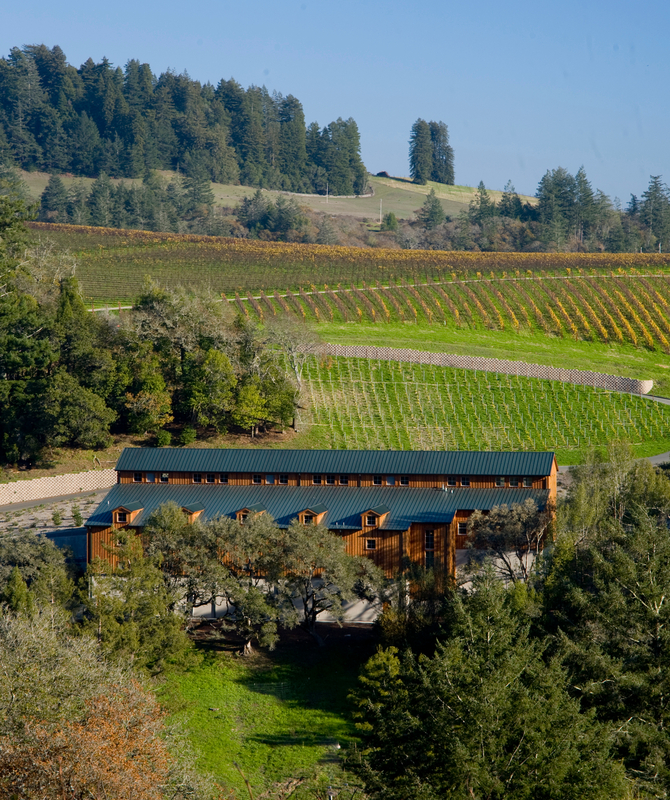 It put Joe Phelps and his Joseph Phelps Vineyards on the map of top Napa Valley wine producers. Four decades later, the flagship wine, Insignia, is recognized as one of the world’s great wines. Thirty-one of thirty-seven vintages have been rated 90 or more points by various wine publications, including three perfect 100 point scores for the 1991, 1997 and 2002 vintages from Robert Parker’s The Wine Advocate in Mr. Parker’s Historical Tasting of Insignia report, published in November 2013. 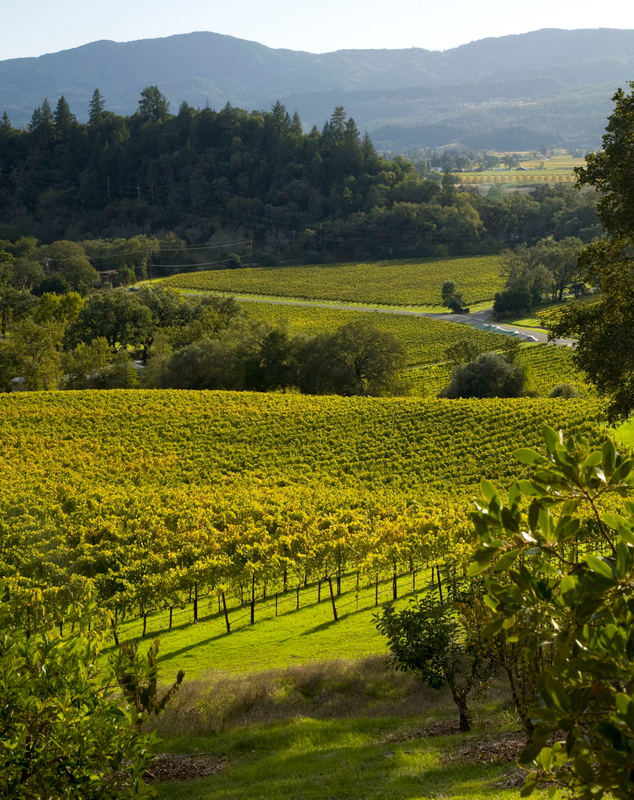 Over the years, the goal of becoming 100% estate grown resulted in carefully planned acquisitions of prime vineyards in the Napa Valley. Joe Phelps has had a life-long love affair with the wines of Burgundy and a desire to craft wines in that style. 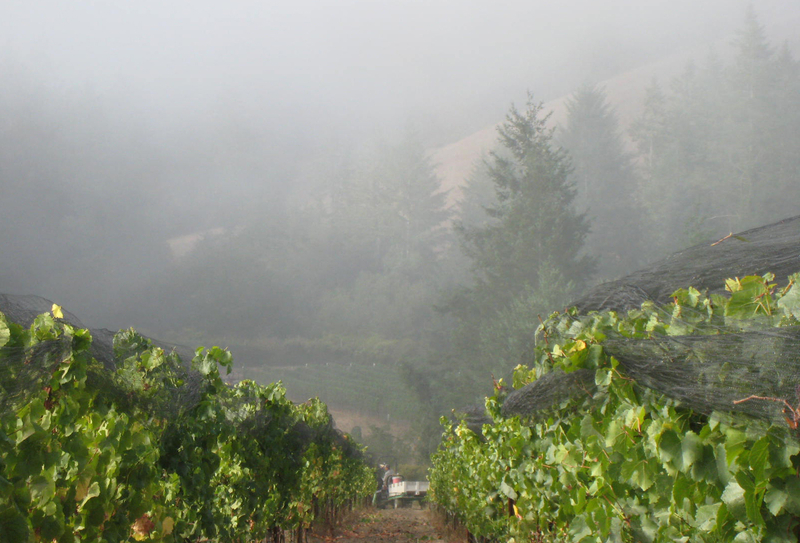 Originally Pinot Noir and Chardonnay were sourced from St. Helena, later from Yountville and then from Carneros. Through the years, however, Joe continued to search for the ideal spot to grow both Chardonnay and Pinot Noir. His search ended when the perfect combination of climate, soil and location was found in Freestone, CA. Today, 80 acres of Pinot Noir and 20 acres of Chardonnay produce remarkable estate-grown wines bearing the Joseph Phelps name.